With November 1 just around the corner, the time has come to map out the month ahead. Read along for important dates to remember, tools for the journey, and an idea of what you can expect over the next five weeks. (Tip: Expect the unexpected!). November 1: Write your first 1,667 and feel great about embarking on this wild, wordy adventure. Tell your inner editor to take a hike for the next 30 days, or else. Watch him/her/it skedaddle, and heave a sigh of relief. November 2: Check your NaNoMail early and often for pep talks from staff and published authors, messages from your fellow Wrimos, and updates from your regional Municipal Liaison (AKA magical ninja heroes of noveling goodness). To stay extra-informed about everything happening in NaNoLand, you can also like our Facebook page, follow us on Twitter, and keep up with our daily blog posts. November 3: Take some time this weekend to stockpile writerly rewards. When you reach a word-count goal, you’ll have a treat at the ready to reinforce your admirable dedication to this project. November 5: You hit your weekend target of 6,668 words (or not—that’s okay, too, so long as you keep writing!). Now save your novel-in-progress to a USB drive, or email a copy to yourself or a trusted friend, as part of the first “Back Up Your Novel” Day. These occur every Monday throughout the month, and will ensure that your novel is soundly saved in multiple locations to prevent loss, theft, or destruction. November 6: If you’re in the US, vote! And keep writing. In whichever order you choose. November 9: Your goal by the end of the second weekend should be to write at least 18,000 words. Plan to use Saturday and Sunday to catch up (or get ahead) in preparation for Week 2. November 12: You are entering Week 2, a time when encouragement is key. Be sure to read up on the pep talks from staff and guest authors in your NaNoMail, and peruse all past writerly encouragement in our Pep Talk Archive! November 14: It’s Donation Day, a public-radio-style fundraiser running from 6 AM to midnight Pacific time. If NaNoWriMo is rocking your creative writing world, please consider making a tax-free contribution to fuel our engines of inspiration for kids, teens, and adults around the globe. And today alone, you’ll be eligible to receive great hourly bonus prizes for making a donation. November 16: On this ML Appreciation Day, be sure to thank your ML(s) for all they do. Send them a NaNoMail message, high-five them in person, or bring them a bouquet of plush porpoises. Trust me, it’ll be a hit. November 18: By land, sea, and sky, NaNo-novelists travel from around the world to congregate in San Francisco for the Night of Writing Dangerously Write-a-thon. It’s an extravaganza of noir and noveling: fast-and-furious typing, costumes, raffle prizes, a candy bar, oratories, fabulous food, and more inspired writers than you can shake a gold-tipped cane at! Sound like the most fun you’ll ever have? Find out how you can attend! November 19: Have you been backing up your novel? No?!?! Well thank goodness it’s “Back up Your Novel Yet Again” Day. Do it. Future You will thank Present You profusely. November 21: Do a happy dance that you’re three-quarters of the way through the month and still trucking on your novel. Are you not still trucking on your novel? There’s time yet! Visit YWP’s Dare Machine to get your novel restarted. November 22: NaNo HQ is closed in observation of Thanksgiving. We will raise a goblet of gratitude for Wrimos everywhere; wonderful, wordy novels; and delicious, carb-filled holiday foodstuffs. November 25: Winning begins! Between now and 11:59:59 PM on November 30, you can cut and paste your 50,000-word novel into the website’s Word Count Validator to be declared an officially official NaNoWriMo Winner! November 25, later that day: Winner Shirts are back on sale, as the perfect complement to your officially official win. Visit our online store to get yours today, or whenever you cross the finish line! November 26: Plan out your word-count goals for the final five days of noveling to ensure that you do indeed reach 50,000 words by the end of the month. Deploy emergency measures as necessary. November 28: Take a quick break from writing like the wind to mark down the date of your region’s TGIO party. November 30: Write, write, write! You’re in it to win it! December 1: Validated, won, and done; you’re sleeping like a baby. As you should be. Sleep on, Winner! As you can see, the month will be overflowing with writing, encouragement, and creative hijinks as your work your way toward the Winner’s Circle and a first draft of your novel. And we’ll be right there with you. Us and 300,000 of our closest writing buddies. 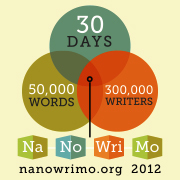 If you’re participating in this year’s NaNoWriMo, there’s only two days left to make those last-minute novel plans. Good luck to all writers taking part in this year’s event! Simon and Schuster announced a reorganization of their adult imprints that puts Free Press alongside its adult trade line in a new publishing group under Jonathan Karp. Read more here. Pleased to say the new edited version of The Spirit World Speaks by Lorraine Holloway-White is now available to buy as an e-book or paperback. New Kindle edition to follow soon. Jason Matthews was in a G+ hangout October with… President Obama. Jason also got to ask our President a question! Honing your synopsis? Here is a site that can help, even if you’re a non-genre author. Dazed author Nikki Palomino took part in a grunge rocker Halloween party with The Sundowners October 25 at the Oyster House and Saloon in Studio City,CA. Michael K. Reynolds has a newly launched Facebook page with videos, insider updates and all of the latest news and buzz regarding his upcoming Irish historical fiction series release through B&H Publishing Group. Poppet has been busy preparing Indigo Vamporium ready for print in time for Halloween (the weekend before full moon). A sneak preview of the cover. Join Online Book Publicity and talk about your books on the Internet’s largest engine marketing network of authors. Click here to learn more. Lovin’ the Skin You’re In author Andrea Amador spoke to parents, teachers and kids at Chestnut Ridge Middle School. She shared her message to never, ever, ever give up! Click here for video. See the chief’s darker side in a new Sam Jenkins Smoky Mountain mystery. In Heroes and Lovers by Wayne Zurl Sam throws out the rules and races against time to find a kidnaped friend. Here is an article that is both fascinating and enjoyable: How Even a Boring Story Can Make You Money by Rachel Flower. Christine Wicker’s book Lily Dale was featured October 23 on Daily Cheap Reads. A new interview appeared on on Richard Rhys Jones’ blog October 26. Do you have news you’d like to see in an upcoming column? Either post it on a related site or email writingmerchant@gmail.com before the following week. Also follow me on Twitter @lacarrington1. Note About Book Reviews, Author Profiles, Etc. Beginning today, there are going to be temporary changes on The Book Shelf. November is going to be a busy month for me. Not only is the Thanksgiving season approaching as well as I preparing a post for Night Owl Reviews to appear on their November 28 blog, but I’m also participating in this year’s National Novel Writing Month (NaNoWriMo), which is time-consuming in itself. With all the aforementioned commitments, there will not be any Author Profiles or Book of the Week features this month, with the exception of two Free Press reviews to which are already scheduled for November 6 and November 13 respectively. I will continue the SEEN This Week column as time allows, but be warned the columns may be shorter than usual, due to both time constraints and my fellow authors equally busy with the upcoming holiday season. One my own November madness ends (which I hope is November 30, ha! ), I will resume book reviews and author profiles. By then, I hope to share some more of my good book discoveries – and have great news about my NaNoWriMo experience! Reach more readers and earn more money! Kindle Direct Publishing is excited to announce that the Kindle Owners’ Lending Library is now available in the UK, Germany and France and that the KDP Select fund has been increased to $700,000 for October. Did you know that books enrolled in KDP Select in August earned 77% more royalties from paid sales than the three months before they were in the KDP Select program? Be sure to enroll your book(s) today to increase their discoverability and your earning potential. 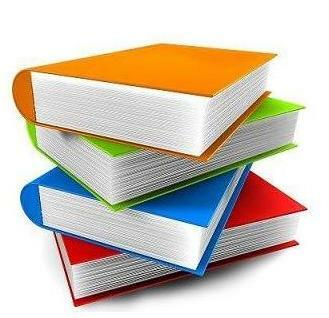 Visit your Bookshelf and select the books you would like to enroll. To find out more about KDP Select click here and for The Kindle Owners’ Lending Library click here (for the US) and here (for the UK). Claim all your books in Author Central. 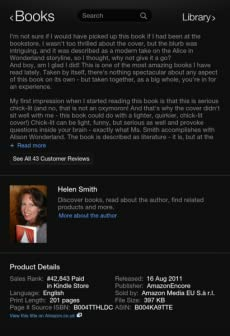 In the Author Central Books tab, make sure your bibliography is complete so that your About the Author profile is available in every one of your books. Make sure you’re happy with your profile page. 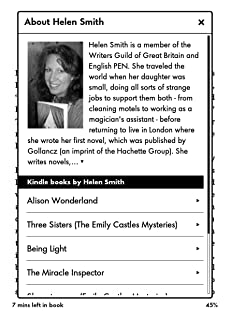 All About the Author pages will use the image that you have designated as primary in Author Central. We encourage you to feature yourself in the photo. Update your biography in Author Central. Readers are going to your profile because they want to know more about you and your books. About the Author is now available on the new Kindle devices. 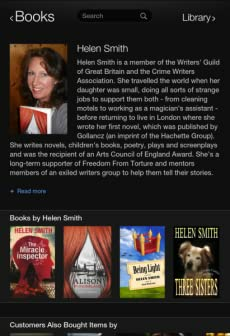 Log into Author Central today and make sure your About the Author profile is up to date. Participating in National Novel Writing Month (NaNoWriMo) this November and need some morale boosting for your upcoming writing projects? Join this group on Facebook to give/get encouragement! One of Marick Press’ titles, Melt, will be featured in Poetry Daily October 26. Congratulations to Derick Burleson! AOS founder Lorraine Holloway-White posted an interesting blog entry October 12 on the topic Spiritual Leaders – Are They What They Seem? She is also currently in the process of editing The Spirit World Speaks as it was done in such a rush, no time was given to her to do it properly. Randy Attwood’s fourth book, The 41st Sermon, is available in paperback complete with image of note from Walker Percy about the manuscript. Come join Vanessa North and Rosanna Leo on Vanessa’s blog, and tell what characters have sparked your imagination because of what they’ve worn…or haven’t worn on Rosanna Leo and the Selkie. Read the latest glowing reviews for Philip Nork’s Life is a Balance at this link. The virtual book tour for Suzanna Burke’s Dudes Down Under kicked off October 15. Come and join in the book giveaways and the fun. Tour will run until October 29 – 14 days of mayhem! The tour is hosted by Bewitching Book Tours. Click here for additional details. Barry Parham had another story picked up for inclusion in a national anthology, Open Doors, Vol. 2, from Wayman Publishing. Helen Yee made an appearance October 15 at the Nexus Lounge. Jeff Horton is currently hosting stops for a blog tour and seeks new followers for his blog. Check out a great article by Joanna Penn on the difference between screenwriters and novelists. Michael K. Reynolds just finished the final proofing of Flight of the Earls, being published by B&H Publishing Group. Is your writing flabby or fit? The Writer’s Diet (Pearson New Zealand) by Helen Sword will help you energize your writing and strip unnecessary padding from your prose. This is an excellent book for anyone working on writing projects, be they short stories or full-length novels. Students to teachers to professional writers will benefit from reading The Writers Diet. We all have pet words that we tend to excessively use, all which show our weaknesses and excesses in the use of verbs, nouns, prepositions, adjectives/adverbs, and ‘waste words’ (e.g. it, that, there). Along with a reliable dictionary and thesaurus, this is an excellent book for writers to keep on their desks. The Writers Diet also offers Writers Diet Test that can be taken online (just enter up to 1,000 words and click “Start the Test”). While this test is not an actual assessment of your writing, it does give a general idea where polishing is needed. I’ve also found it to be one of several good editing tools in my own writing. Think your writing needs more style and energetic prose, this is one book worth purchasing. It is a bit pricey (considering it’s shipped from New Zealand), but worth every dollar.